Callio Press Release 19 Dec 2018: FutureMINE – Callio Pyhäjärvi transforms to multi-functional and customized testing environment. Read more. Callio Pyhäjärvi underground agriculture mentioned in the new publication to give inspiration and encouragement to cities and decision makers on the possibilities of Underground Space Use. Author Ilkka Vähäaho, City of Helsinki. Read more. Callio Press Release 21 Jun 2018: Pyhäsalmi Mine gets a new zoning plan and a new life as “Callio Pyhäjärvi”. Read more. Toni Krankkala, PHES – Why? Callio Press Release 27 Feb 2018: The world’s highest hydraulic head in the underground energy storage plant – Pyhäjärvi, Finland. Read more. EnergyVaasa 2018 infographic presentation available here. 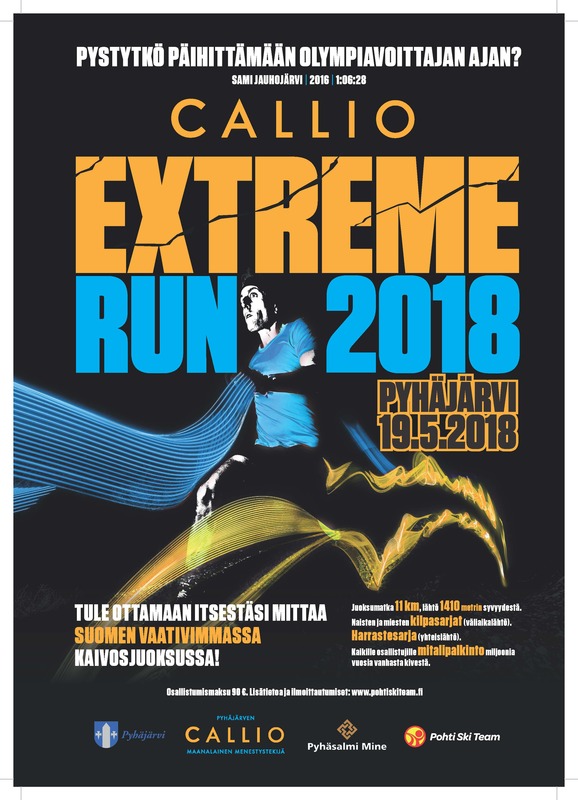 Callio Extreme Run 2018 A4 size flyer available here. New Callio Pyhäjärvi Data Center Campus video launched. Youtube.